“The Hollywood Reporter’s” piece on college admissions seems like it was written in 1992, not 2015. 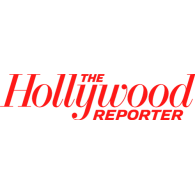 There’s a piece in “The Hollywood Reporter” by Alexandria Abramian entitled “L.A. Parents’ Sports Freak-Out: ‘You Can’t Cheer at an SAT Exam‘” that we figured we’d share with our readers. The article seems a bit behind the times as it discusses the highly selective college admissions craze as though this is a new phenomenon. Well, Hollywood isn’t right on trend with many of their offerings…like so many of their TV remakes from decades past. So it should come as no surprise that “The Hollywood Reporter” is writing about the college admissions craze as though this is something new, even a fleeting trend. The article in “The Hollywood Reporter” particularly focuses on students who aspire to play sports at the college level. As quoted in the piece, “‘Kids used to play sports in parks. Then they’d play in high school, then college coaches would come to high school games to watch,’ says West Los Angeles teen and adult therapist Larry Green. ‘That’s all changed. Now coaching kids has become an incredibly specialized business, and a big part of this is driven by celebrity culture: Sports heroes are also celebrities now. Parents want that status for their kids.’ And for themselves, he adds: ‘I’ve had to work to help parents accept when their kid stops playing ball because Mom or Dad were so involved. … They love watching the games,” which, he notes, give parents a public forum to celebrate kids’ achievements. ‘You don’t get to cheer at an SAT exam. '” No, no you don’t.